Database credentials for the CopyStorm/Director database. The unique integer Job Number for the job containing the task to run. The family to which the job belongs. 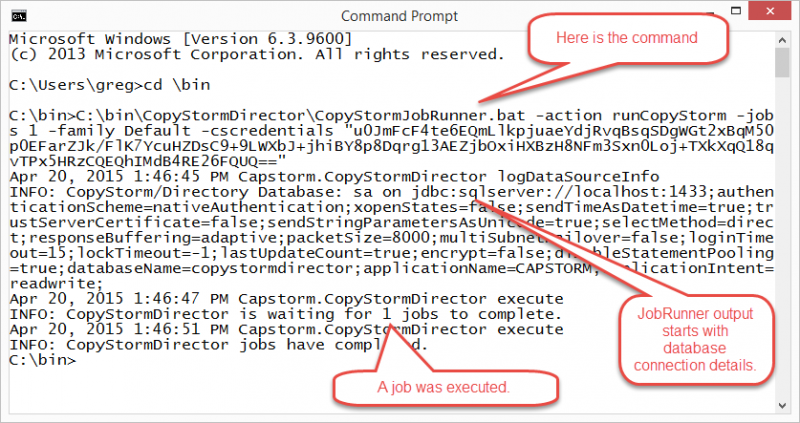 The log file and status of the run will be stored in the CopyStorm/Director database — just as if the CopyStorm/JobRunner were invoked from a scheduler. Only a single task in a job can be forced to run on demand at the same time. 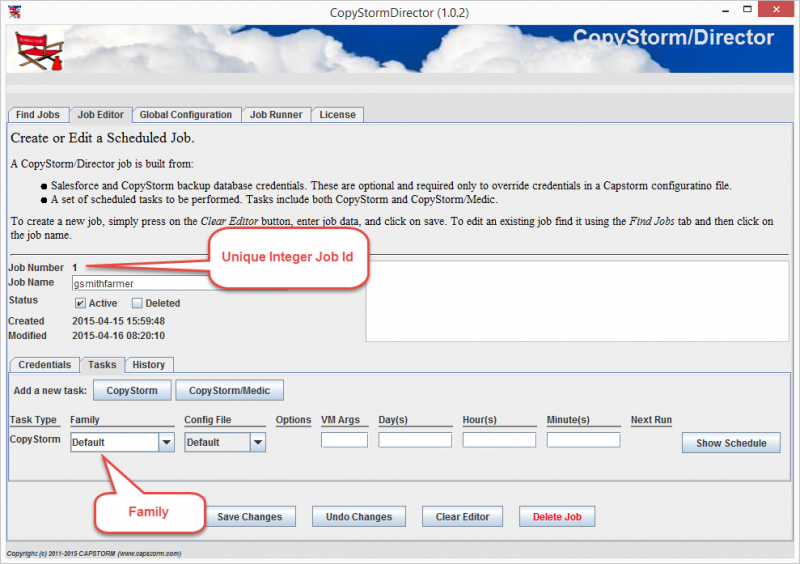 See the CopyStorm/JobRunner command line options for more details.